Click here to see who, what and how much! CLPS Successes ... it's only the beginning! All approvals for the well are in place; engineering and design work initiated by TetraTech Engineering. The cities of Carter Lake and Omaha begin work on an interlocal agreement for the construction and continued operation of the Carter Lake Recharge Well project. The City of Carter Lake agrees to accept the $400,000 in funding from the State of Iowa and act as the fiscal agent for the Recharge Well project. The City Council unanimously agrees to approve the resolution and accept the 28E agreement with the Iowa DNR for well funding. The State of Iowa agrees to provide $400,000 for the construction of the Lake Recharge Well Project! CLPS provides $14,000 funding to test the quality and quantity of underground water at the Dock Street site. A test well is drilled and the NDEQ approves the site for a Carter Lake Recharge Well. CLPS moves forward with funding requests from the State of Iowa and the Papio Natural Resources District. CLPS commits $14,000+ to the City of Carter Lake to fund the Kiawanis Pump project. Water begins to flow into Carter Lake as part of the first steps of a long term recharge system! Breakfast is hosted with elected officials from Iowa and Nebraska to discuss filling the lake by 2008. Carter Lake Environmental Assessment and Rehabilitation (CLEAR) Water Council is formed from the community watershed meetings held the prior month. First meeting of the CLEAR Water Council occurs. Two community watershed planning meetings held. Over 150 people attend this event. IRS designate the CLPS as a "not for profit public charity [IRS 501(c)(3)]". Dontations to the organization are tax deductible. July 25, 2006: Jeanne Eibes and Steve Wilbur make presentation to Douglas County Board about watershed issues facing Carter Lake. Water Quality Technical Resources Committee is formed. This committee has water quality experts and resources from both Nebraska and Iowa. The group meets monthly. Additional technical documentation is on this web site on page called "Watershed Planning"
Iowa DNR announces a $50,000 appropriation to be used for lake improvements and funding toward the long range master plan. Applied for not-for-profit (501)(c)(3) designation with the IRS. 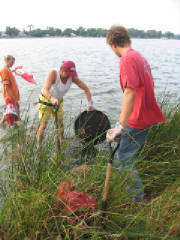 Received $1,000 grant award to the Carter Lake Preservation Society from Iowa DNR, REAP and Project AWARE for 2007 Lake Clean Up. CLPS and the city of Carter Lake partner and present to Pottawattamie County. Receive $163,000 from the county to help fund lake shore restorations. March 3-4: Sponsored Booth at Omaha Boat, Sports and Travel Show. March 10: Brainstorming and Development Planning meeting at Bass Pro Shops with Stakeholders. Presented two workshops on fertilizing techniques and rain gardens at monthly CLPS meeting. 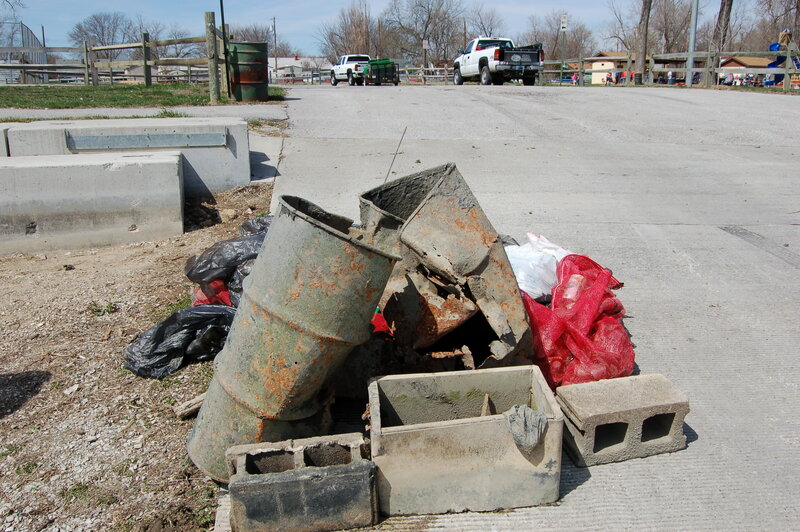 Begin planning second annual lake clean up. West Pottawattamie Soil and Water Conservation District applied for a Watershed Protection Grant and received $10,000. January 10: Conducted Workshop with the Carter Lake City Council to provide information about lake issues. Over 50 people attended. January 13-15: Sponsored a booth at the Hunting and Fishing Expo. January 28: Held breakfast meeting with stakeholders and planned the March 10, 2006 Brainstorming and Development Planning session with Stakeholder's. January 31: Invited to present to the Iowa Senate Natural Resources and Environment Committee. Formed non-profit corporation and began having monthly meetings. First annual Carter Lake Clean Up. 200 volunteers and over 60 sponsors. Group of local residents forms to discuss lake improvements.